When drivers engage in careless and reckless behavior, the consequences can be devastating. Take, for example, a tragic accident involving a woman waiting at a bus stop. She was run over and killed after two cars that were being operated in a careless manner caused a chain reaction in Lauderhill, according to the Miami Herald. This awful accident not only claimed the life of the woman, but an additional seven people suffered serious injuries and had to be transported to hospitals. Four of the victims were listed as trauma cases and were taken to Broward Health. Two other victims were taken to Plantation General Hospital while another victim was taken to Florida Medical Center, according to the aforementioned Miami Herald article. Both cars were driving erratically heading north on U.S. 441 when they crashed into the bus stop area where multiple people were simply standing waiting for the next bus to arrive. The woman who lost her life was reportedly sitting on the bus bench when the collision occurred. She became trapped under one of the crashed vehicles. Another woman suffered serious leg injuries. Deepest condolences go out to the friends and family of the victims. This was a horrific wreck affecting multiple innocent lives. The victims and their loved ones are likely feeling a combination of trauma and anger. That anger is perfectly understandable since this accident appears to have been preventable, if only the drivers operating the two vehicles exercised caution while traveling on U.S. 441. As a result of their carelessness, a woman is dead and multiple others are being treated for catastrophic injuries. If you or a loved one was involved in a serious auto accident that involved a fatality, you may be able to monetary damages through a wrongful death lawsuit. Obviously, no amount of money can bring back your loved one, but a wrongful death lawsuit can serve as some semblance of justice against the irresponsible individual that caused the deadly accident. Obtaining a financial recovery through a wrongful death suit can also ease some of the stress and financial burden associated with a sudden loss. For example, some of the recoverable damages include any accrued medical expenses from the accidents, funeral costs, burial expenses, the financial support that the decedent provided to the family, and emotional trauma. In most deadly auto accident cases, the irresponsible driver’s auto insurance company will effectively step into the shoes of the negligent driver and try to defend the case. Auto insurance companies only have one objective – keep as much money in their pockets as possible and pay out as little as possible. 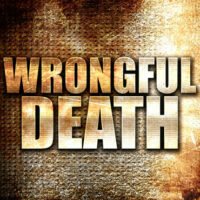 This is why you need to retain the services of an experienced Miami wrongful death attorney. Your lawyer can handle the negotiations with the auto insurance company alleviating the stress and frustration associated with this process. Your lawyer can also develop a persuasive case that may lead to a substantial settlement or jury verdict. At the office of Alan Goldfarb, P.A., you will find a team of experienced and skilled Miami car accident injury and wrongful death attorneys with the knowledge and abilities necessary to get maximum results. Contact our office today to schedule a free consultation.